Looking for cleaning in Bognor Regis? Maid2Clean has been building a reputation in Bognor Regis for domestic cleaning due to our professionalism and reliability which has made us renowned throughout the UK. We have provided cleaning services to over 3 million households and have built a strong and reliable home cleaner database. We have a large database of reliable and efficient domestic cleaners in Bognor Regis and the surrounding areas. Our clients are offered the chance to meet and interview as many home cleaners at their own home before work commences as they would like. Regular Cleaning - if you're after a weekly or fortnightly cleaning service then our prices start from just �11 up to �13 depending on the hours required - the more you have, the less it costs! One-off Clean - this service is great for those times where you need a deep clean and quickly (maybe after a party, or the Christmas season). Hours from 2 to 5, with prices set at �80 and �10 for each extra hour - to put the correct insurance in place. We have seen expansion and growth due to our popular home cleaning in Bognor Regis and other areas; and so we have expanded to even more areas in the country after many years of trading. We know we can offer an exemplary service for domestic cleaning in Bognor Regis. A house cleaner in Bognor Regis can be arranged for any length of cleaning job and we can also provide cleaners for 'one off' cleaning requirements. 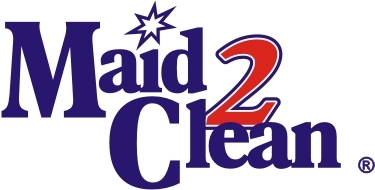 Maid2Clean house cleaning in Bognor Regis covers virtually all domestic chores from sweeping, cleaning bathrooms, making beds, tidying kitchens, ironing and vacuuming. We are the professional company to speak to when you want the best house cleaning in Bognor Regis. Call us now! We cover the following areas: Arundel, Barnham, Billingshurst, Birdham, Bognor Regis, Bosham, Boxgrove, Buriton, Chichester, Fernhurst, Funtington, Greatham, Haslemere, Hawkley, Hill Brow, Kirdford, Liphook, Liss, Littlehampton, Midhurst, Petworth, Pulborough, Rake, Rogate, Selsey, Sidlesham, South Harting, Storrington, West Wittering and the surrounding areas.